May every movement be swift and every arrow strike true during your next LARP adventure. 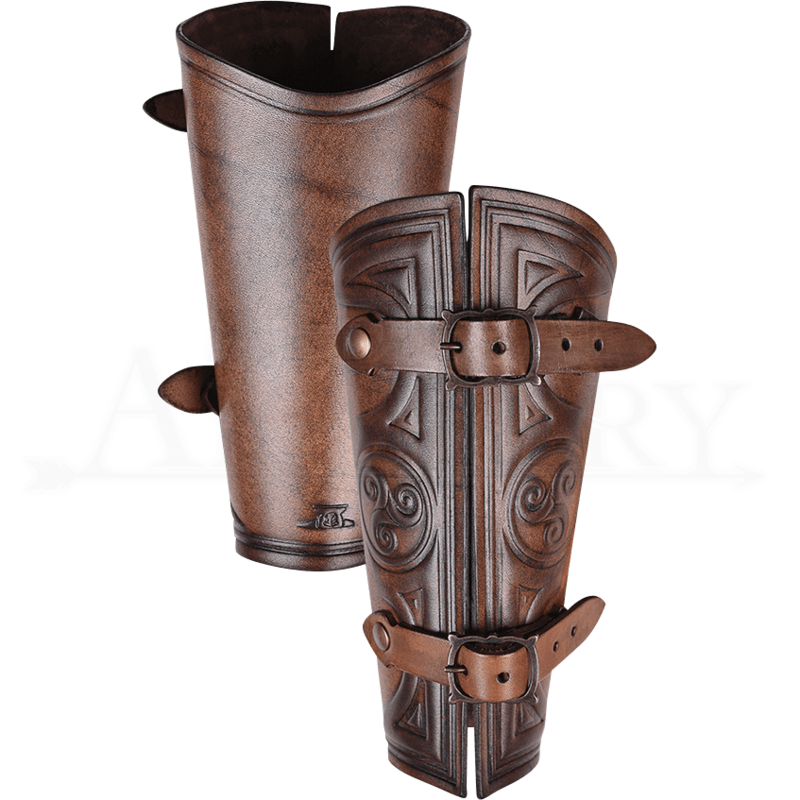 The Celtic Triskele Leather Archers Bracer protects the forearm from unnecessary injury, allowing the clever hunter to focus fully on the prey. 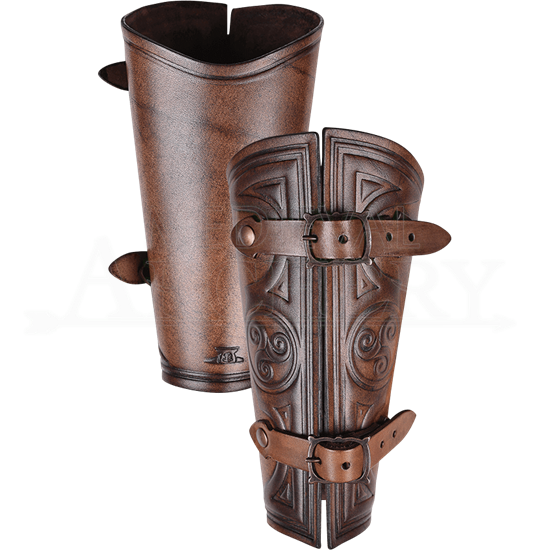 Handmade from high-quality leather, this bracer possesses an antique patina finish. Beautiful embossing adds a distinctive touch with a triple spiral marking the center of each side and Celtic patterns accenting the edges. Designed with a wider cut on the inside, the bracer provides protection while allowing the arm to bend. Two adjustable buckle straps allow you to customize the fit along the outer side. Please be aware that this bracer is handmade from natural materials. There may be some color variation from what is shown here, as well as from bracer to straps.